Vote Couture for the Cure is the followup event to The White Cashmere Collection (our coverage of the runway event is here). It is a month long initiative happened during the October Breast Cancer Awareness month, which public can vote their favourite among the 16 designs from the 2016 White Cashmere Collection. To help make things more interesting, everyone voted had a chance to win a $3,000 getaway or weekly prizes during the event. To benefit Canadian Breast Cancer Foundation(CBCF), Cashmere donated $10,000 for the first 10,000 votes to CBCF, along with a special edition of Cashmere bathroom tissue which 25 cents from the sale of each package goes directly to CBCF throughout October. 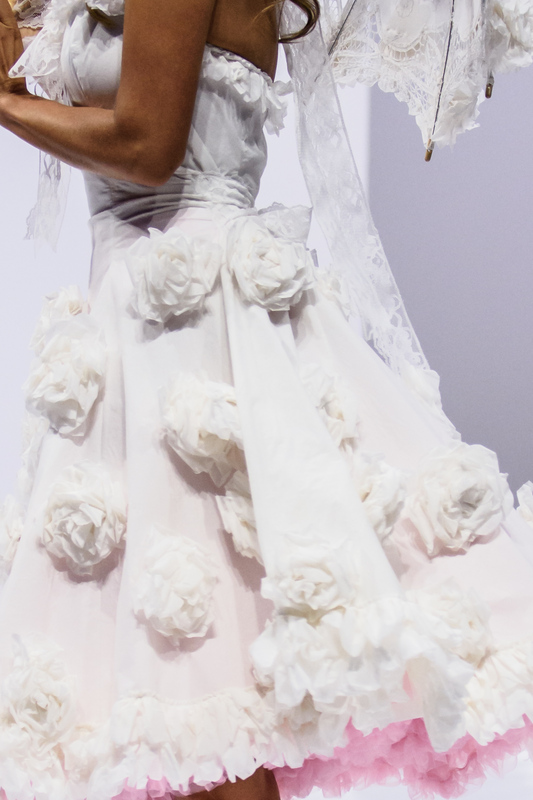 Damzels in This Dress, designer team Rory Lindo and Benjami Booker created this sundress with dozens of tissue crafted rose blossoms adorned the full skirt.